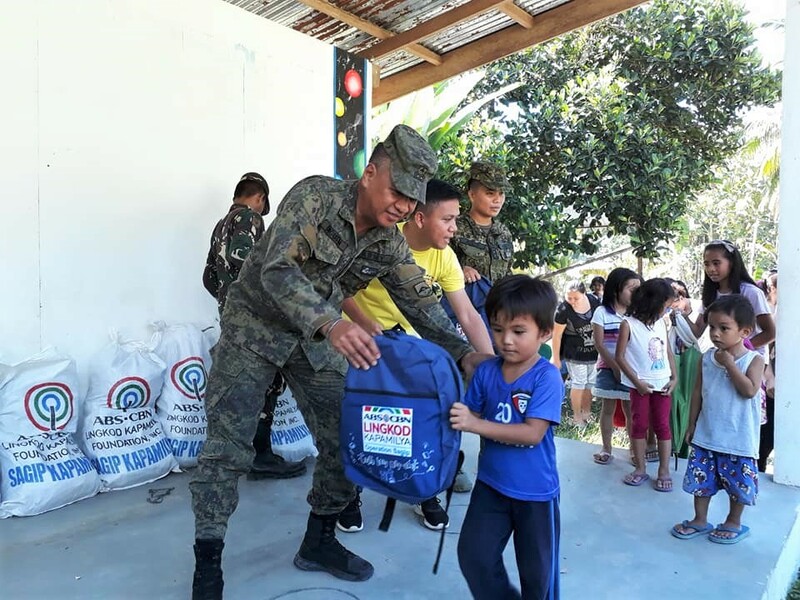 MAWAB, CVP - The ABS-CBN Lingkod Kapamilya Foundation Incorporated's "Gusto Kong Mag-aral Project 2018" was brought in Compostela Valley Province and Davao Del Norte (DDN) last May 7-9 2018, to benefit eleven (11) schools in the area of 71st Infantry (Kaibigan) Battalion. The partnership project is under the “Operation Sagip” of the ABS-CBN Network which aims to ease the burden of the parents on school expenses especially during the opening of classes and inspire pupils to strive more in their studies. The "Gusto Kong Mag-Aral" school kit contains eight (8) notebooks, two (2) erasers, two (2) sharpeners, two (2) ballpens, two (2) pencils, and (1) box crayon, enough for the basic school needs of the pupils. 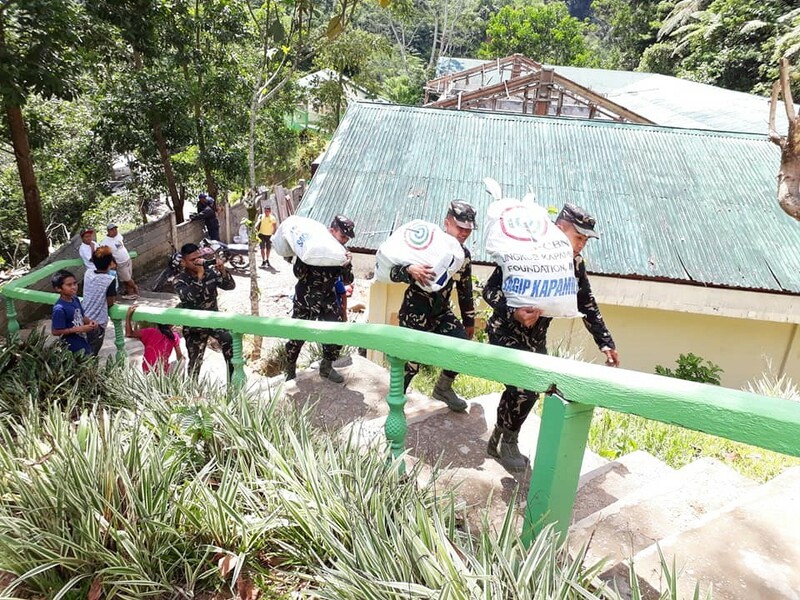 The three-day activity was participated by the Local Chief Executives (LCEs) and DepEd District Supervisors of the three municipalities under 71st IB Area of Operations (AO) wherein a total of 2,089 school kits were distributed to Saug and Silangan Elementary School in New Corella, DDN; San Vicente Primary School, Tagmanok Monawarah, Nueva Visayas and Sao-sao Elementary School in Mawab, Compostela Valley Province; and to the Elementary Schools in Barangay Sangab, Libay-libay (Gayab), Calabcab, Teresa, and Malamodao in Maco. 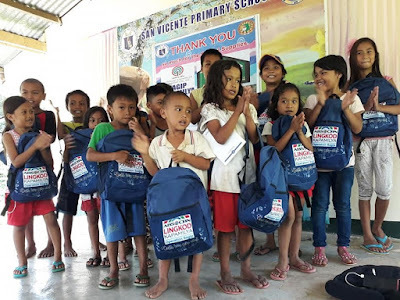 The parents and teachers thanked the ABS-CBN Lingkod Kapamilya Foundation for providing the needs of the pupils and recognized the initiative of the 71st IB in bringing the program towards the community, particularly those in Geographically Isolated and Disadvantaged Area (GIDA). “This activity is one way for us to ensure a bright future for our youth, especially those who really want to go to school. It may inspire our children to study hard and succeed to be our country’s asset someday,” said Lt. Col. Esteveyn Ducusin, the Commanding Officer of 71st IB. “Through these efforts, the populace mostly Indigenous People (IP) will see that the Army and partner stakeholders are very responsive to their needs especially the young ones or the pupils. These activities did not only entail the Operation Sagip – “Gusto Kong Mag-aral” Project but also the sharing of love and unselfish service of the soldiers and help of kind-hearted people who contributed for the success of this project. We are thankful for our generous sponsors, the ABS-CBN Lingkod Kapamilya Foundation Inc. for their unwavering support and commitment to help in making our people live better,” he added. Notably, it is the second time since 2017 that the ABS-CBN Lingkod Kapamilya Foundation Inc. collaborated with 71st IB in conducting the Gusto Kong Mag-aral Project in Maco and Mawab in ComVal Province and New Corella in Davao Del Norte. 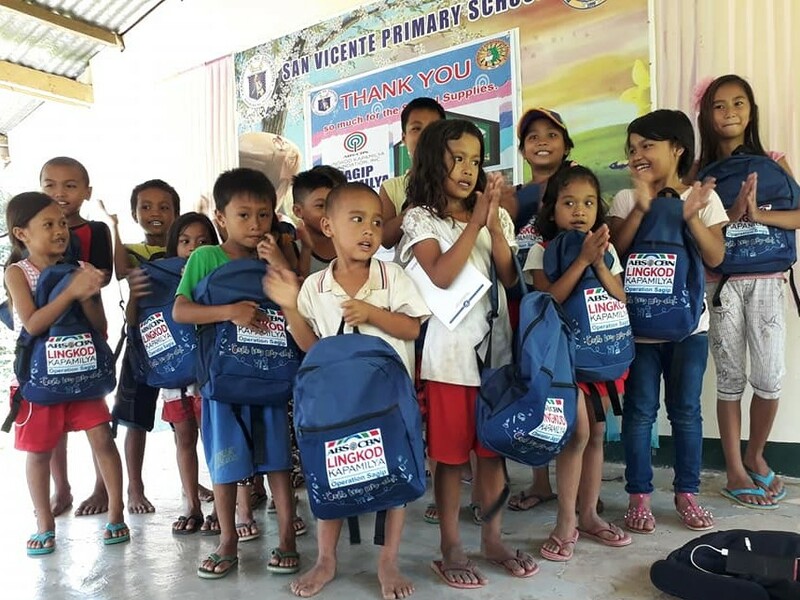 Aside from giving of school supplies, the partnership had also turned-over several projects to the community such as two (2) unit classrooms in Maragusan; Water System in Brgy. Magangit, Maco; Birthing Facility in Brgy. Andili, Mawab; Jetmatic Pumps in Brgy. Sawangan, Mawab; and Armed Chairs in Brgy. Nueva Visayas Daycare Center and Concepcion Elementary School in Mawab. A classroom construction is also ongoing in Mambing Elementary School in New Corella and Gubatan Elementary School in Maco. 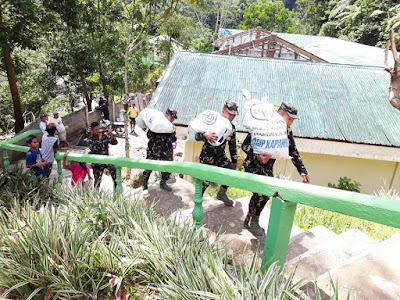 Meanwhile, the 71st IB assured the locality on the unit's continuing efforts to support the Local Government Units’ programs, and maintain a peaceful and unhampered delivery of services towards the people.